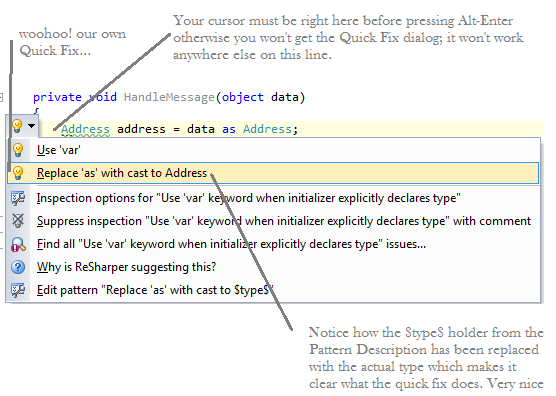 In Part I I covered finding usages with Resharper's 'Search with Pattern' feature. 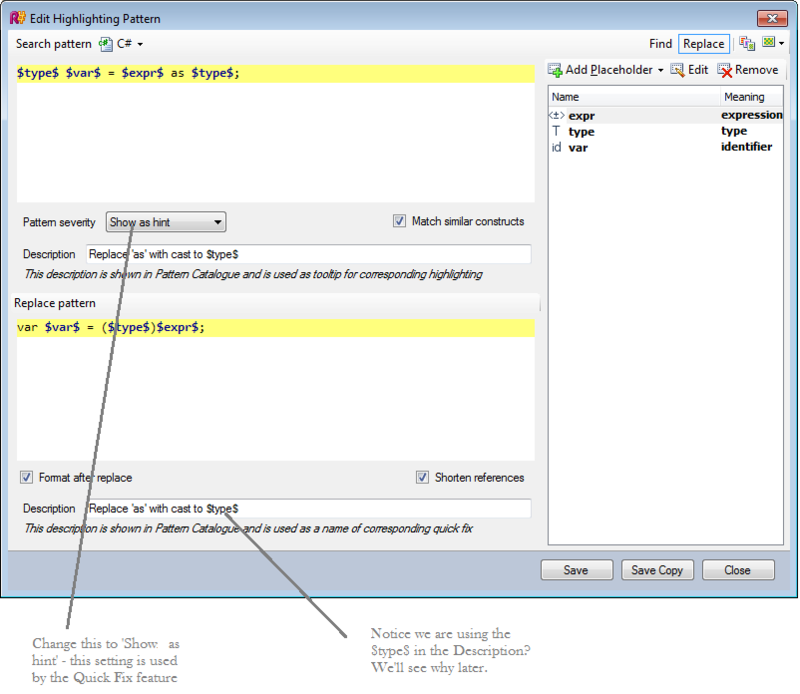 Now lets turn our focus to replacing usages with our own snippets and creating our own custom quick fixes! Why erroneous you say? Well if you expect data to only ever be an Address then you should cast to it instead of using the as operator - That way at least you'll get an InvalidCastException instead of a NullPointerException.